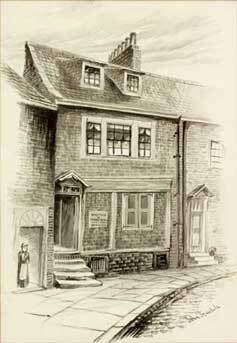 'Thomas Bewick's Workshop' by John Teasdale. 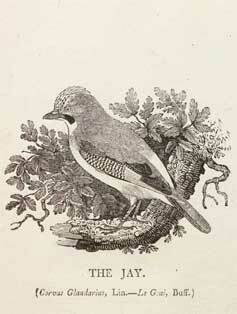 'The Jay' by Thomas Bewick. 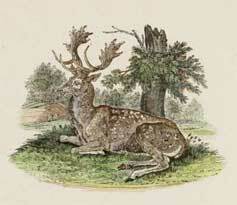 'A Stag' by Thomas Bewick. Displays of items from the Laing Art Gallery's collection are held from time to time. Some items are on permanent display in the exhibition 'Art on Tyneside'. Visitors are welcome to see the collection. Appointments can be arranged by writing or e-mail to the Laing Art Gallery. Open: Monday to Thursday 9 - 8, Friday and Saturday 9 - 5, Sunday 12 - 4. Displays of items from the Pease Collection are held from time to time. We welcome visitors to see the collection. Appointments can be arranged by writing or e-mail to the Local Studies & Family History Centre. Open: During office hours Monday to Friday 10 - 2.